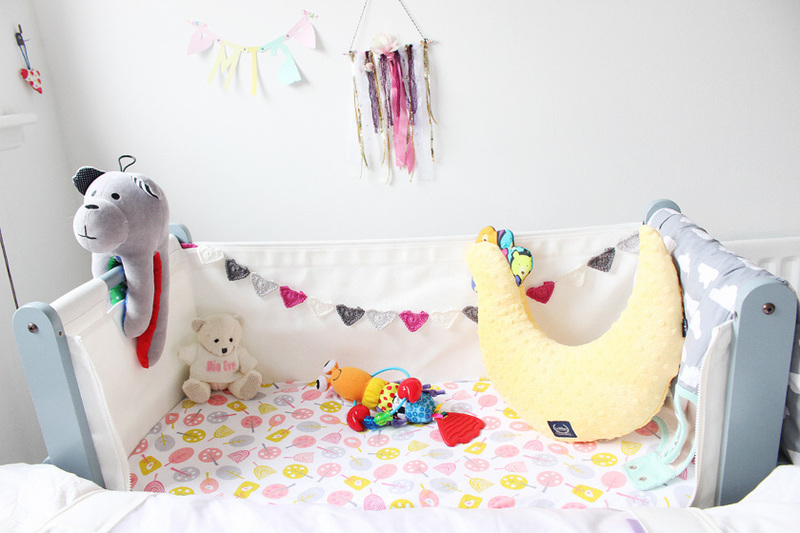 I have lots of baby related reviews planned for June, including todays blog post dedicated to Mia's cuddly friend Whisbear The Humming Bear*. We've had it for a couple of months now, so it's been very well tested and I must admit, I am a big fan. First of all, I am a bit biased because Whisbear is a Polish brand and I love promoting amazing products from my country, but... I can honestly say, that it is simply fab! I am happy to see it becoming more popular in the UK and every time I see mums on instagram praising it, I am like... yep, it's genius! How does it work? 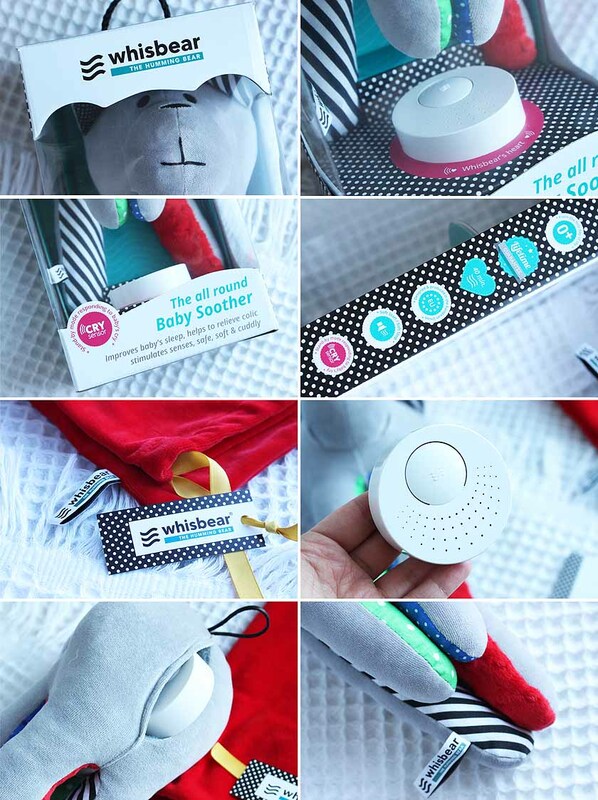 Whisbear isn't only a lovely aesthetically pleasing 'toy', but a life saver too, as inside the bear, there is a little shushing device, which emits white noise, a sound that the baby remembers from inside the womb. 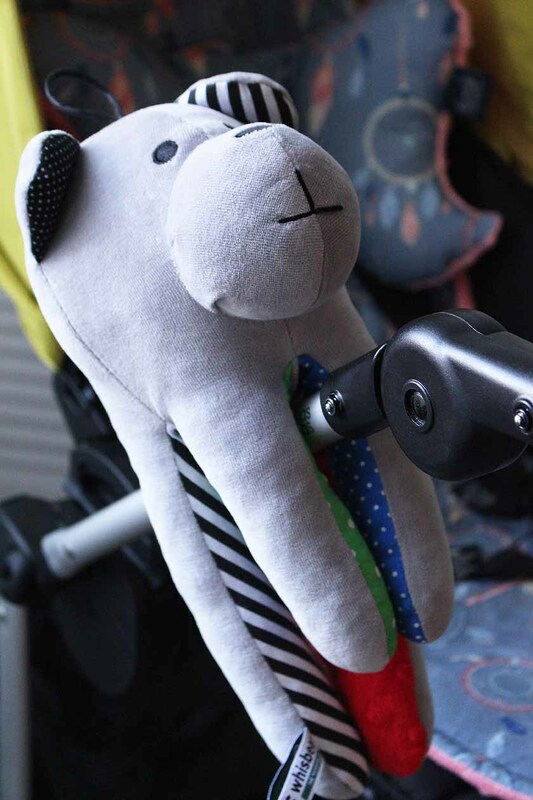 The device, which is the 'heart' of the bear, features a cry sensor, volume control and operates for 40 minutes, with a Soft Start/Soft Stop function that gently turns the shushing on and off. I am not gonna lie, my husband absolutely hates the white noise, but I don't mind. It actually helps me drift off to sleep too, which is always a good thing, as I have problems falling asleep. White noise is one of baby's favourite sounds and along with rocking, hugging and warmth, it reminds them about their foetal life, which feels very comforting. It's very fascinating, but also logical. We all love a safe, familiar environment, so do babies. 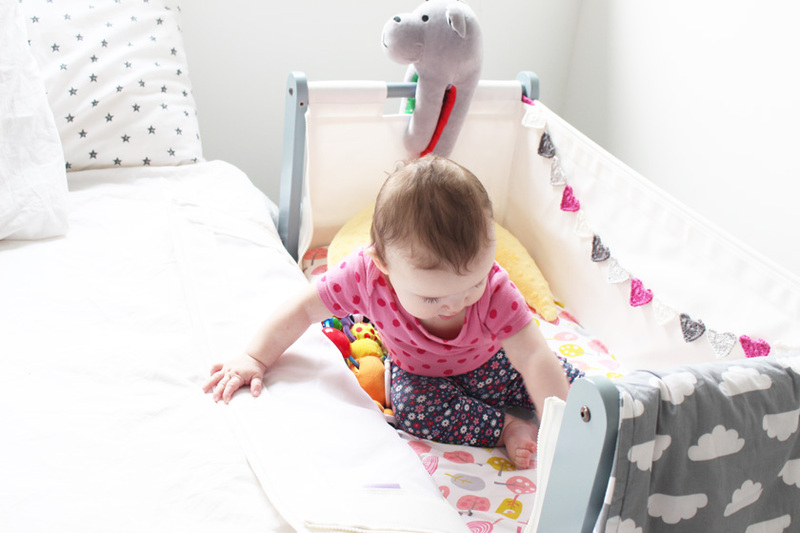 I don't mind shushing Mia myself, but having a little helper like Whisbear makes a difference, when you're a tired mama! 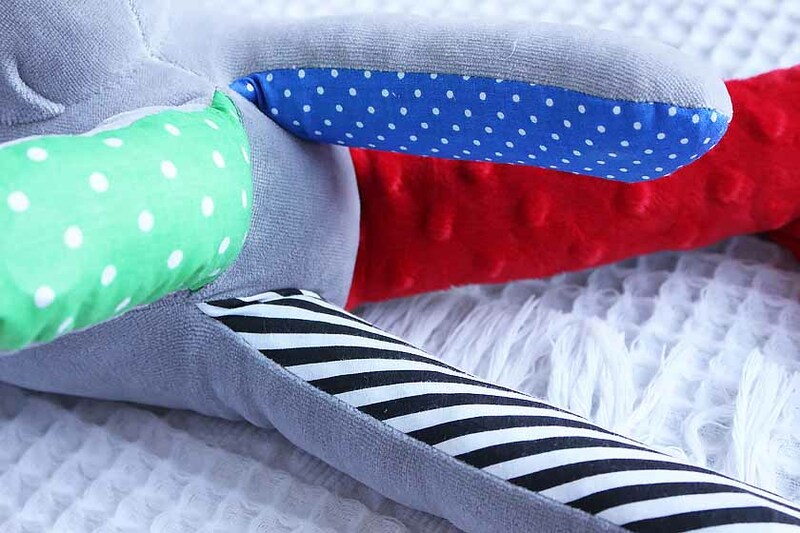 It can be used during nap time, at night or even when your baby is upset and is taking a little tantrum. It has been proven that white noise works in all of those situations. Now let's talk about the design. I personally think that it is simply gorgeous! 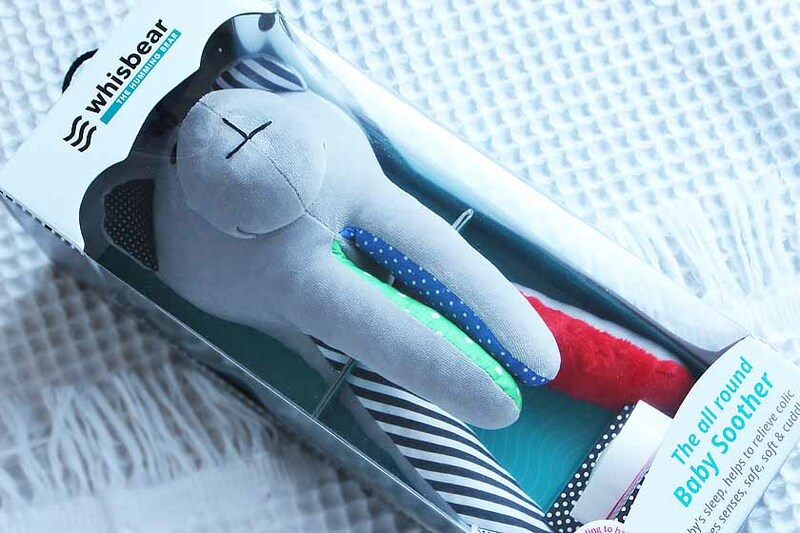 The bear is made with a soft grey fabric to suit all tastes, but pops of colour and pattern on the legs and ears make it a bit more fun as well. We have a limited edition Whisbear, with a red leg that was available for Christmas 2015 and came in a red bag. 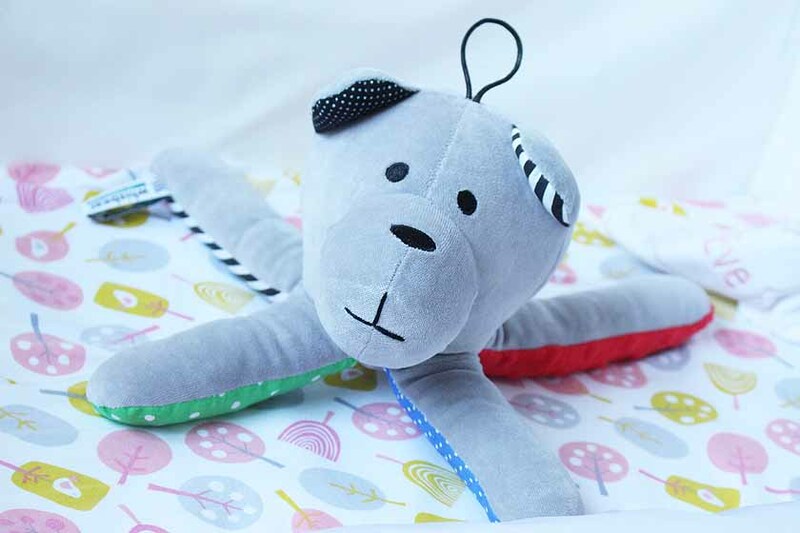 It's lovely and would make an amazing gift for a new mum or a mum to be. 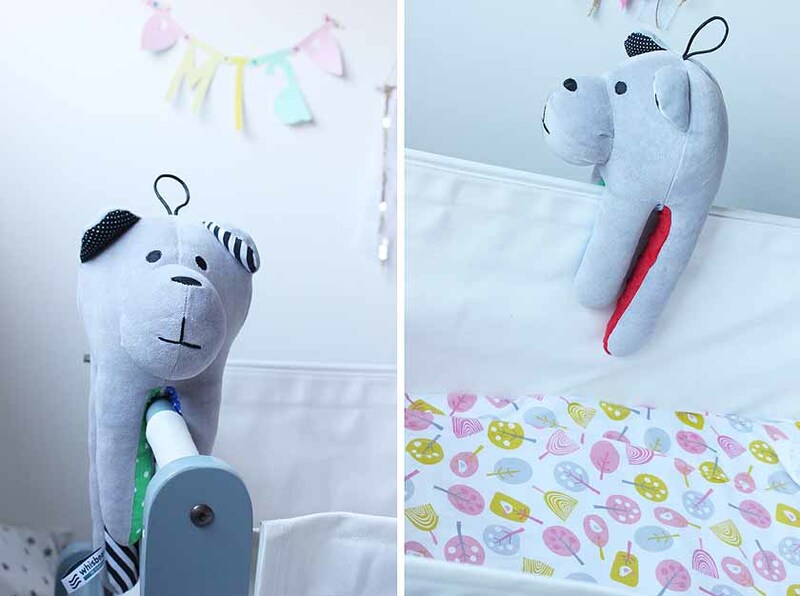 As the legs have magnets inside, you can secure the bear in the cot or in the stroller, or simply place it next to your baby, like any other toy, once they are a bit bigger. We love our Whisbear and we can't recommend it enough. Mia is a good sleeper and she very rarely wakes up fully, but when she has a pre-bedtime meltdown, I let the Whisbear take care of it, with a side of boobie of course :) haha. 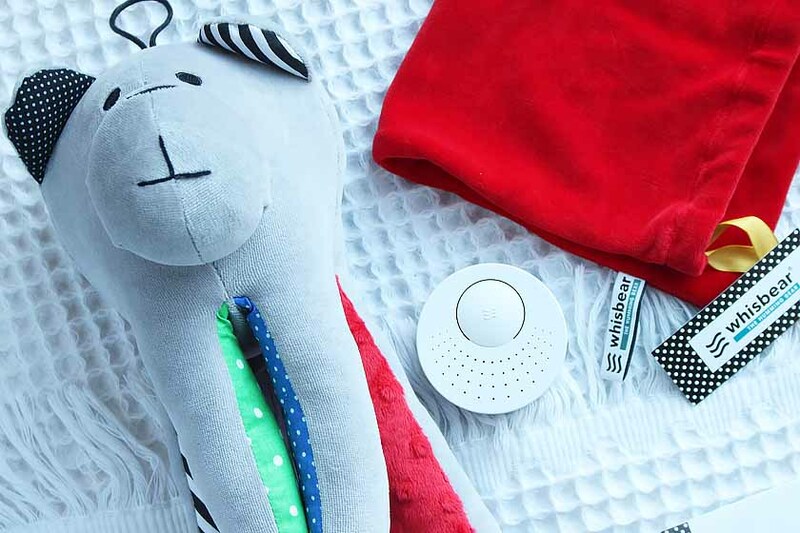 I had a white noise device with Zachary as well and it was a life saver at nap time, so I can confirm that both of my babies love a bit of shushing.